Senior haredi rabbis, gedolim, banned books written by Rabbi Nosson (also known as Natan) Slifkin. Rabbi Slifkin was also labeled a heretic by them. 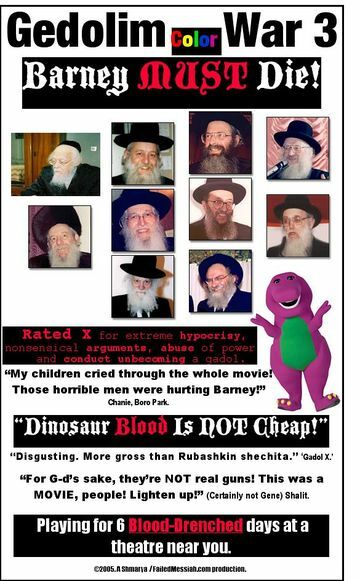 This saga, which began in January 2005 and continues to this day (January 2008), saw haredi gedolim adopt the Creationism of Christian fundamentalists. 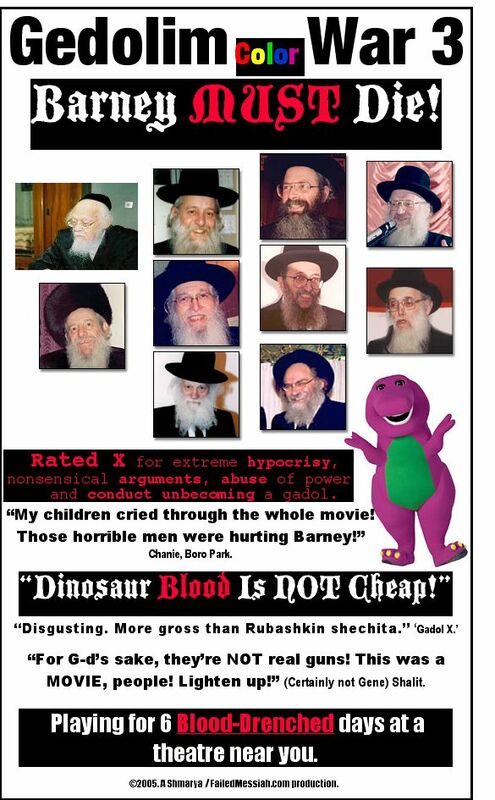 But the Rabbi Slifkin Ban also exposed the haredi system of gedolim for what it is – corrupt and unethical. Rabbis including Rabbi Yosef Shalom Elyashiv, the leader of non-hasidic haredim, banned Rabbi Slifkin without first hearing his side of the story. Indeed, these rabbis refused to speak with Rabbi Slifkin at all. Most of these gedolim are unable to read or understand English. Rabbi Slifkin wrote in English. The rabbis could not read his books. As a result, they relied on hearsay evidence when banning him. Rabbi Slifkin's 'crimes' included asserting that the rabbis of the Talmudic era could err on issues not relating to Jewish law, that Talmudic medicine (including incantations and potions with no proven medical benefit) was ineffective, that the age of the universe is greater than 6000 years (and here), that evolution was a fact and that it fit in with Genesis, and that parts of Genesis that science has disproved can be understood as allegory (a position taken 1000 years ago by the great Rabbi Sa'adia Gaon). When challenged with proof that earlier important rabbis like Sa'adia Gaon had said these things, Rabbi Elyashiv is reported to have responded that these positions could be taken by rabbis of earlier eras. But Jews in our times are forbidden to believe these things or to espouse them. To do so is an act of heresy. Rabbi Elyashiv later said that Rabbi Slifkin, who he had labeled a heretic, may even be one of the righteous of the world – still, it was forbidden for Rabbi Slifkin to espouse these things. My reaction to that misbehavior was to ridicule these rabbinic leaders. (See the faux movie poster above, for one example. Please click to enlarge.) I did so because it was clear to me that these men were not open to reason. Three years later, that belief has been confirmed time and again. Rabbi Elyashiv and the other signers of that ban never apologized to Rabbi Slifkin for refusing to hear his side of the story or to review his sources. They also never retracted their ban. Here is a post explaining a kabbalistic position dating back many hundreds of years asserting the universe is 15 billion years old. It also clearly shows the errors made by this generation of haredi gedolim in these issues. Posts on Rabbi Slifkin and the ban can be found here. A listing of posts dealing with rabbinc bans of all types, including the Rabbi Slifkin Ban, is here. Posts on science and Judaism here. …[T]he entire received body of knowledge in just about every field of human study is dependant on the fact that the world is not 5000 years old and that there was not a flood. These facts are the fundamentals of biology, physics, astronomy, history, anthropology, geology, paleontology, zoology, linguistics, etc.